Since the JRJ government came into power, all successive political leaders concentrated excessive power to politicians particularly to the Executive President and deliberately turned a blind eye towards errant politicos and their thieving henchmen. The country has therefore deteriorated into amobocracy, ruled by an assemblage of malefactors, which could lead to serious underdevelopment, civil unrest, and even state failure. Why did Yahapalana leaders fail to create a clean, unstained, people-friendly political culture? They too, similar to the previous regimes, did not respect civic virtues, morality, ethics, laws, procedures, rules and regulations. Nelson Mandela, Noble laureate and former President of South Africa, said: “A political leader must be honest to himself”. It is sad our President, who is also the head of state, the Executive, the Government and the Cabinet of Ministers, does not exercise his legitimate coercion to prevent the abuse of powers at the expense of the ruled. The Prime Minister appears to have towed the Government, with a few of his close confidantes, in the Cabinet, in a different direction. As leaders, the President and PM did not ensure that sound governance practices are instilled in numerous organisations including the Central Bank in day-to-day governance. There is sufficient proof that principles of public sector governance such as transparency, accountability, integrity, efficiency, effectiveness, etc., have been conspicuously overlooked. Both did not ‘walk the talk’ and did not help the Government to achieve the good governance they pledged during elections. There was no collective responsibility as members of the unity government, which is a tradition in parliamentary governments. All these, finally ended up with disastrous consequences. The citizens voted overwhelmingly for a newly rustled up party with unholy motives. The President lacks the resolve, strong leadership to take tough decisions and is presumably ineffectual. The Prime Minister too, allegedly so devious and ill-defined, a root cause of all ills, is being rated as the worst Prime Minister since independence. The President lacks the nitty-gritty of delicate state craft and the assertiveness to deliver the political goods he had pledged to the countrymen. The men who fought hard and founded the United States of America – namely, George Washington, Thomas Jefferson, James Madison, John Adams, Benjamin Franklin, Alexander Hamilton, and the others, had armed themselves and fought a bloody civil war to build a new USA. They were considered to be the best educated, most considerate and thoughtful people at the time. Having decided to take up arms and fight an extensive war, their justification was that they could not have effectively defended their rights and established a democracy with institutions that uphold the rule of law and shared values. They had also been emphatic that the legitimacy of government required the consent of the governed. Nevertheless, the President repeatedly, with his excellent communication skills, has been trying to deflect attention away from the countless burning issues confronted by them. President also made an attempt to give it a try to capitalise on Presidential Commission reports to impress the voters. The President pledged vociferously in his campaign day-in-day-out that the perpetrators would be brought to book and corruption eliminated. Citizens did not fall prey and refused to respect the move to conceal the truth for the sake of looking good. It is therefore obvious the present Government has failed. Voters are convinced that the two leaders do not represent the interests of the citizens and give preference to their individual interests, their party machinery and are greedy for power with personal agendas. They do not work with the intention of doing the utmost for the people. The President had however always said that the Government should mean business for the benefit of the people. It is therefore believed that a Government is a necessary evil. All successive governments have hoodwinked the masses and were self-servers. They lacked the vision, ability, and firmness to take timely and difficult decisions appropriately. They wasted golden opportunities due to indecisiveness. The Chinese government, during the last several decades, had successfully developed processes for assimilating public information, consultation, deliberation, and decision making. China, Singapore and Malaysia have achieved astonishing economic growth over the last several decades purely due to proven capabilities of their leaders, their commitment to meritocracy, intertwined with a series of concepts. In France, the leaders of the French Revolution had believed and had said “they were for the poor, the homeless, the helpless, the needy, and the abused”. They had, however, overlooked the need to restore “human dignity”. They had placed the society and the State above the individual. In USA in 1776, the forefathers of USA had thought differently. They had agreed to give effect to human dignity, the foremost place. According to the teachings of the Buddha too, the king and the state are servants of man. The fifty-six signatories to the Declaration of Independence had unanimously placed the individual above the State. Signatories to the Independence Declaration had patriotically endorsed only free individuals in a truly free and democratic nation could achieve material welfare, human dignity, and personnel fulfilment. By adhering to the principles of the Independence Declaration, in America, people have attained both material abundance and human dignity. 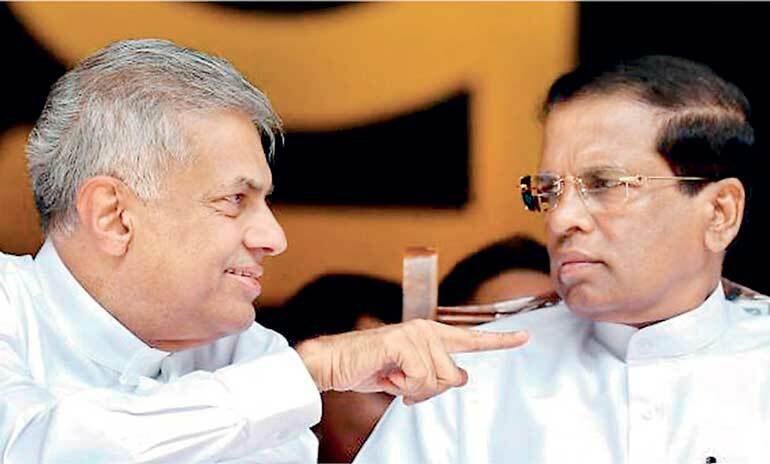 How did Sri Lanka ultimately degenerate to the present low level? Isn’t it because Sri Lankans too are complacently relaxed? Primarily, I am confident having served the supreme institution for over three decades, Parliament has totally neglected its oversight functions. Numerous reports from PAC and COPE have been thrown into the dustbin. The Opposition has paid little attention to their role and they do not do a careful analysis of matters taken up in Parliament. Costly opening ceremonies, waste of funds for luxury vehicles, tax concessions, loss of revenue, endless corruption and unplanned borrowings had seriously impacted the vulnerability of the poor: (i) from welfare structures to patronage structures (ii) from institutions to politics (iii) weakening of empowerment structures, particularly education, healthcare, social services, transport etc. In the Independence Declaration, it is stated that “to secure these rights, governments are instituted among men, deriving their just powers from the consent of the governed”. The early patriots of America had believed that government should protect their “unalienable rights” and that government had no right to interfere with “life, liberty, and the pursuit of happiness”, other than that of prosecuting lawbreakers and maintaining self-defence from foreign aggression. Successive governments have failed to effectively enforce the law to deal with lawbreakers. Our rulers boasted that they were in possession of files and promoted the culture of impunity. We could, however, get back on track if we start to act now. But, it will require leaders to begin making tough decisions. We should address the crucial issues without delay if we need to bring the country back on track. Our leaders should no longer ignore the challenges facing our nation. Let us first and foremost begin to rebuild peoples’ confidence in the elected government. All successive governments have not won the trust and confidence of the masses, because the leaders ran governance, while raking the country from crisis to crisis, only to come up with temporary solutions having made governments bigger and bigger for their benefit. The Sri Lankan voter, I have no doubt had always done the best thing. The President and the Prime Minister pledged that the corrupt will be dealt with and corruption eliminated. Yet, they failed to honour the bulk of the promises. Unsustainable corrupt governing systems too have always frustrated the masses. In the words of the American politician Norquist, they had preferred a “government small enough to be drowned in a bath tub”. Why is it that our political leaders disregard all that? George Washington, first president of the USA, established the precedent that a President should serve no more than two four-year terms. GW also established the use of the title “Mr. President” or the President of the United States. Furthermore, a majority of public servants and politicians, including the leaders of political parties, put their own interests ahead of those citizens they serve at present. The former US Senator James Paul Clarke said: “A politician thinks of the next election; a statesman of the next generation”. It is well-timed if everybody could act without being bent on short term benefits and contemplate the long-term paybacks for the institutions they lead and the country. Nevertheless, a democracy like ours requires the active participation of educated citizens. We must always remember – “Accomplice to the crime of corruption is our own indifference” – Bess Myerson.